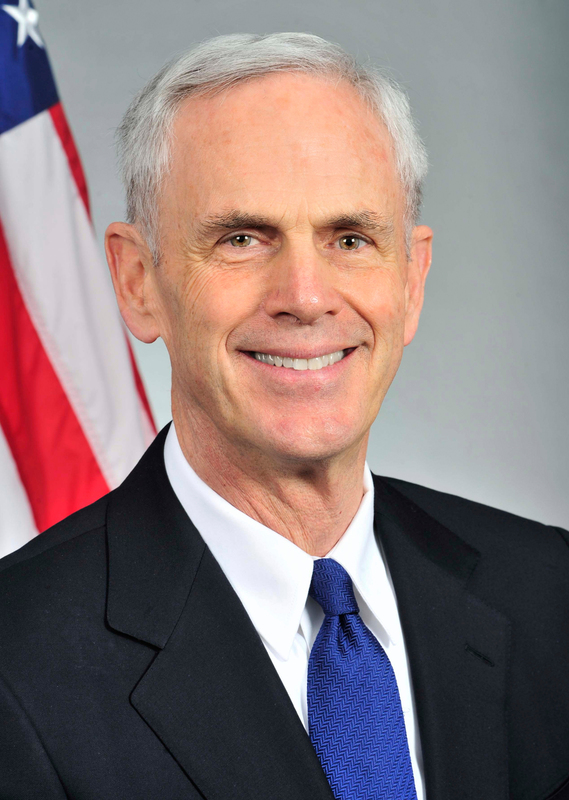 UPDATED: John Bryson resigned as Secretary of Commerce on June 21, 2012. Dr. Rebecca Blank is Deputy Secretary of Commerce. John Bryson was appointed by President Obama as the 37th Secretary of Commerce and sworn into office on October 21, 2011. Bryson has nearly three decades of business experience, including 18 years as Chairman and Chief Executive Officer of Edison International. On June 11, 2012 Secretary Bryson began a medical leave of absence to focus on resolving health issues. He resigned on June 21, 2012. Secretary Bryson is a key member of President Obama’s economic team working to implement the administration’s top economic priority: accelerating job creation. He works to strengthen the economic recovery and U.S. competitiveness, and he serves as the voice for the business community in the President’s Cabinet. He is focusing in particular on three areas that create more American jobs: supporting advanced manufacturing, helping U.S. companies increase exports, and encouraging more companies to invest in or expand operations in the U.S. First, as co-chair of the White House Office of Manufacturing Policy, he is coordinating government-wide efforts to support and strengthen America’s manufacturing sector, especially advanced manufacturing. Second, he is leading the president’s National Export Initiative to double U.S. exports and create millions of jobs. Third, he is driving the federal effort to increase business investment in the U.S. through SelectUSA, America's first-ever national investment advocacy program. In addition, Secretary Bryson is working to implement historic reforms to the U.S. patent system; foster “clusters” that create jobs by maximizing strengths in U.S. regions; strengthen online security and privacy for both businesses and consumers; and, invest in coastal communities, weather, and oceanic sciences. Before becoming Commerce Secretary, Bryson served as Chairman and Chief Executive Officer of Edison International, the parent company of Southern California Edison and Edison Mission Group, from 1990 to 2008. At Edison, he led the utility through the California energy crisis. As CEO, he created a competitive power subsidiary, the Mission Group, which expanded across the U.S. and was a global leader in the privatization of power plants and electric systems in Australia, New Zealand, Thailand, the Philippines and several European countries. Bryson has also served as a director on several public, educational and nonprofit boards, including The Boeing Company and The Walt Disney Company. He has also served as an adviser and a director of entrepreneurial and start-up companies including Coda Automotive, Inc. and BrightSource Energy. He was a senior adviser to the global investment firm Kohlberg Kravis Roberts (KKR). Prior to joining the private sector, Bryson served as president of the California Public Utilities Commission and chairman of the California State Water Resources Control Board. He was also a partner in the law firm of Morrison and Foerster. Shortly after earning his J.D. from Yale law school, he and some classmates received a grant from the Ford Foundation to form the Natural Resources Defense Council in 1971. Bryson is a graduate of Stanford University. He and his wife Louise have four daughters.